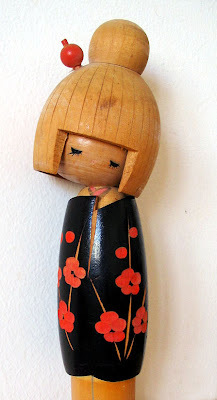 Not too long ago, I picked up this little Japanese doll from the Neighbourgoods Market at the Old Biscuit Mill in Salt River. 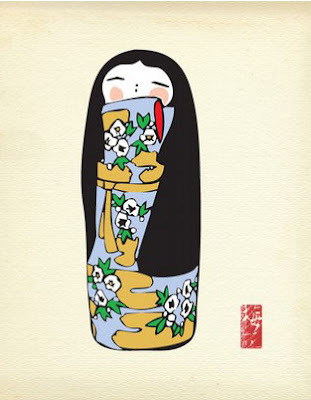 Intrigued, I googled "Japanese wooden doll" and discovered the marvellous world of Kokeshis, which have been traditional gifts of friendship in Japan for centuries. 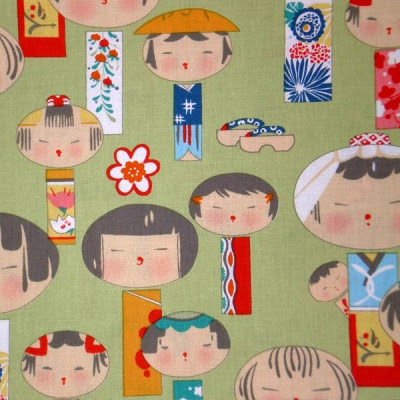 ...as inspiration for their Kokeshi fabric (via Decor8). There were heaps of beautiful customised Kokeshis at this show, which is soon to open in LA (see here for details). I've picked the ones I liked best, and there are lots more pics of the show on flickr. 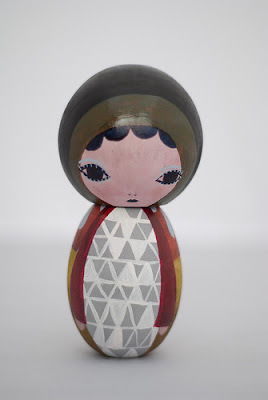 If you enjoyed this little taste of Kokeshis, you're sure to be a Matrioshka fan too, so check out the recent Print & Pattern Matrioshka doll trend report here for more wooden doll loveliness. 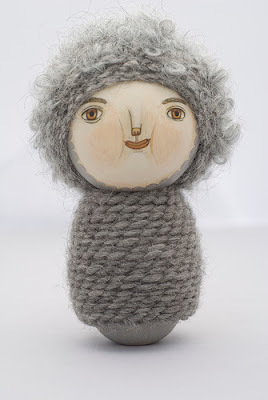 I have one Kokeshi dolls from Japan but I must tell you the ones from Camilla Engman [the link doesn't work] and Julie Morstad are really adorable! 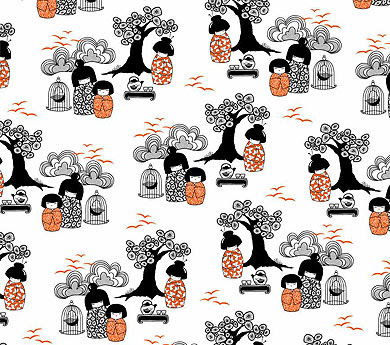 I love Matte Stephens work! He does amazing paper sculptures also! Lovely! 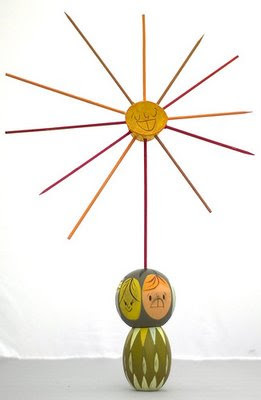 I saw Yellena's kokeshi (who has an Etsy shop under that name) the other day and must say that it is my absolute favorite! The Camilla Engman one is equally as great! I think there may be something bigger here with this little trendjie you've picked up on. Kokeshi dolls, making an appearance, everyone using bamboo. 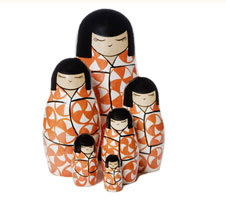 Saw some Japanese figurines in the window at Cecile and Boyds, must pop in to see what they're all about. Maybe there's a bit of a move to Asian influence, who knows? the dolls are not for sale but for "adoption" (you pay for the clothes, instead) and the buyer receives a card to make a wish. It's a very interesting concept, in my opinion. 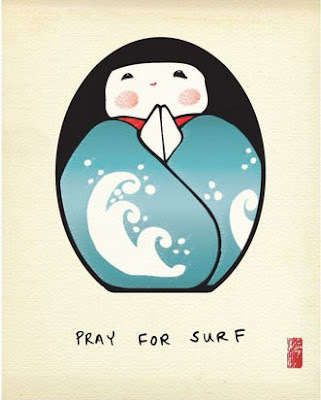 the kokeshi clan loves you!